"…like Cliff's Notes on steroids…"
This entry was posted in Randy's blog entries on February 8, 2019 by randy. I define collaboration as people working together – sometimes by choice, sometimes not. Sometimes we collaborate to jump-start creativity; other times the focus is simply on getting things done. In each case, people in a good collaboration accomplish more than the group’s most talented members could achieve on their own. Today’s employees, at all levels, spend 50% more time collaborating than they did 20 years ago. Carnegie’s metamorphosis from farmboy to salesman to public-speaking icon is also the story of the rise of the Extrovert Ideal. The new economy calls for a new kind of man—a salesman, a social operator, someone with a ready smile, a masterful handshake, and the ability to get along with colleagues while simultaneously outshining them. 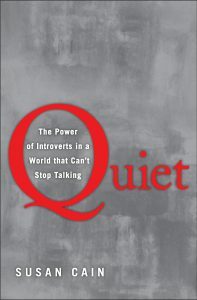 (Read my blog post: The Birth of Dale Carnegie – A Fascinating Account, from Quiet by Susan Cain). Few products or services today are created by individuals acting alone. And few individuals simply do their work and then hand the output over to other people who do their work, in a linear, sequential fashion. Instead, most work requires people to talk to each other to sort out shifting interdependencies. So, in other words, the ability to have intelligible, purpose-directed, ongoing, never-ending conversations; the ability to listen and adapt after listening; the ability to work in collaboration, is a modern day survival skill. 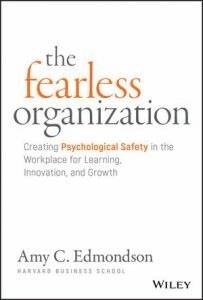 Her book is about the need for psychological safety – note her subtitle: Creating Psychological Safety in the Workplace for Learning, Innovation, and Growth. 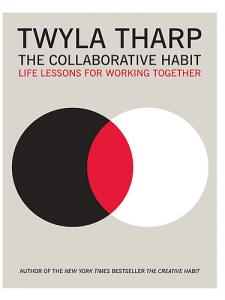 This is needed BECAUSE we have to become very, very good at collaborating. And, by the way, psychological safety is the human way to treat people well. I’ve got a hunch that my synopsis of The Fearless Organization is going to be useful. Click here to read the article by business writer Cheryl Hall in the Dallas Morning News. For questions about - or problems with your order, email webmaster . Copyright © 2019 15 Minute Business Books | First Friday Book Synopsis. All Rights Reserved.